This article will have two parts. First, some comments about the Christmas holiday itself, and then some practical, year-round observations. The war on Christmas seems to get more intense every year. Atheist organizations put up billboards mocking Christmas (and Christians), which is a brilliant move to improve the image of atheists. (Good without God? Nope. Waste of money? Yup.) Christmas cards from school children to troops are banned by the US Department of Veterans Affairs for having "religious" content. 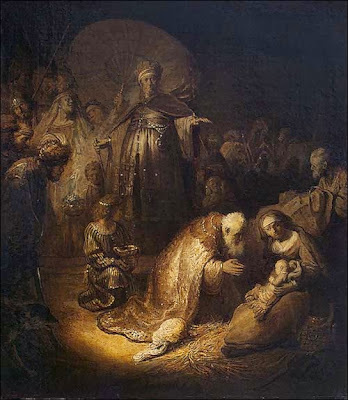 Santa Monica, California, bans their 60-year nativity tradition. Many merchants are unfriendly to Christmas, and customers are encouraged to avoid them. A Mohammedan bigot says that saying "Merry Christmas" is a terrible crime. And so on. Oh, yes. One more thing on that. 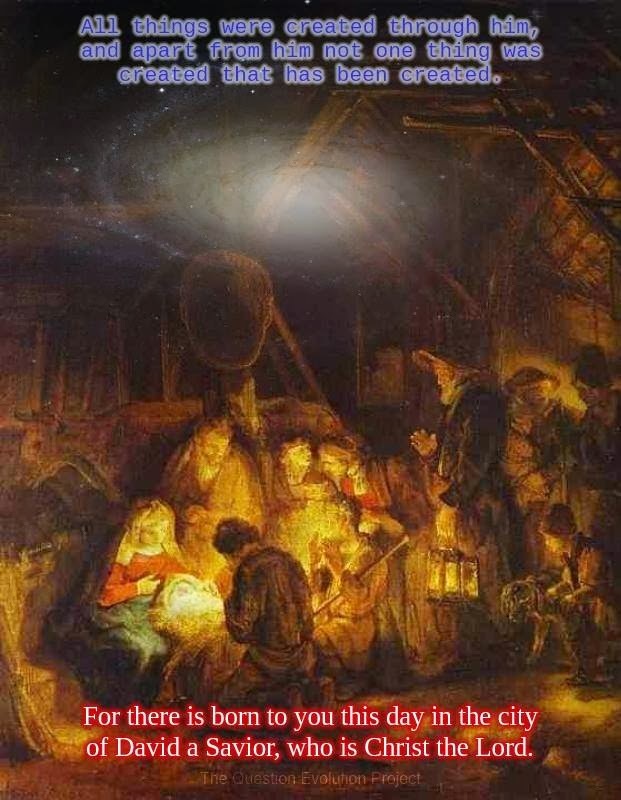 It seems that, to be consistent, if someone says that we cannot celebrate Christmas because of "pagan origins", they should also avoid certain names days and months. I am writing this on Woden's Day (Wednesday), and I have to go back to work on Thor's Day (Thursday) and Frigg's Day (Friday; Frigg is a variant of the Roman goddess Venus). Then I have Saturn Day and Sun Day off again. Get the idea? Therefore no one is to act as your judge in regard to food or drink or in respect to a festival or a new moon or a Sabbath day– things which are a [mere] shadow of what is to come; but the substance belongs to Christ. One man considers one day more sacred than another; another man considers every day alike. Each one should be fully convinced in his own mind. He who regards one day as special, does so to the Lord. He who eats meat, eats to the Lord, for he gives thanks to God; and he who abstains, does so to the Lord and gives thanks to God. And now for the main point: Christianity is supposed to be practical. I was discussing the song lyrics quoted above with my wife. One day, it struck me how instead of bringing silver and gold to the child that shivers in the cold, how about a blanket? Then I saw a cartoon that echoed my sentiments, and so this article had to be written. Some misotheists who visit The Question Evolution Project and other Christian places will say that we are motivated by fear of punishment to do good works. That is slander. A born-from-above Christian is a new creation (2 Cor. 5.17), and is to be filled with the Holy Spirit on an ongoing basis (Gal. 5.16), and the "fruit of the Spirit" is to show in our daily lives (Gal. 5.22-23). Our faith is shown by our works (James 2.18, James 2.26), which will justify us before men. Sure, there are some people who are impossible to please, always finding fault with the follower of Jesus because they want to please their father (John 8.44) and their eyes are blinded by him to the truth (1 Cor. 2.14). Even so, we are to meet the needs of others out of genuine Christian compassion, first helping fellow believers (Gal. 6.10) and seeking to glorify God out of a natural outpouring of the Spirit within us (1 Peter 3.16-18, Matt. 5.14-16) and not self-glorification (Matt. 6.2), and not to earn or keep our salvation (Eph. 2.8-9, John 10.27-29). The real Christian is motivated by the Spirit to do good works to help others and to glorify God. This does not come from fear of punishment, but because we are new creations. Now, will someone please give that cold child a blanket? He is the Creator, you know (Col. 1.16, John 1.1, John 1.3). Then we can be a blessing to others for the glory of Jesus. In 2013, November 3 is the International Day of Prayer for persecuted Christians. The majority of the persecution comes from Muslim and atheist regimes. Many countries make a claim to have "freedom of worship", but that is not freedom of religion, it is simply a way to say, "Keep it in the building and then shut up about it". (Some atheists actually say that there is no persecution of Christians, even going as far as to rewrite history, but I believe that they are being antagonistic, willingly ignorant or outright dishonest; even Wikipedia has an article on it.) Persecution comes from many sources. The concept of Christian persecution is long ago and far away to people in the West, with images of the Roman Colosseum in their minds. But it is very real today. Some of us have it very comfortable and take our beliefs for granted. Much of our "persecution" is bigotry and discrimination, but we seldom are called upon to be tortured or die for our faith. With the rise of militant Islam and the erosion of the rights of Christians from secularists and militant atheists — it is coming. Persecution is happening, and increasing, but we do not "feel" it so keenly, yet. Perhaps the real believers will be weeded out from the pretenders? That seems to happen whenever persecution comes. So You Want to be an Apologist? This is not a short article, as I was unwilling to derail the train of thought by serializing it. In a classic sketch on Monty Python’s Flying Circus, Mr. Anchovy visited the Vocational Guidance Counsellor, seeking assistance on leaving Chartered Accountancy. Mr. Anchovy boldly proclaimed that he wanted to become a lion tamer! When the counselor asked about his qualifications, the reply was, “I’ve got a hat…A hat with 'lion tamer' on it … And it lights up saying 'lion tamer' in great big neon letters, so that you can tame them after dark when they're less stroppy.” Worse, Mr. Anchovy did not even know what a lion was — he was confusing lions with anteaters. There are people who want to go into apologetics but only have a superficial idea of what is involved. They have watched videos where people like William Lane Craig show atheists that their philosophy is inconsistent, read some books by C.S. Lewis and other philosophers, heard some audio material by Greg Bahnsen, look at Websites, try online “debating” with unskilled but extremely vituperative atheists, and figure that they can be the next apologetics “rock star”. In other words, “I got a hat”. There is some learning, maybe a bit of experience, but they are missing a great deal of the picture — they may be able to tame anteaters, but not lions. When people call Matt Slick of CARM and ask how to go about going into the ministry, he asks questions and also lets them know the unpleasant aspects of becoming a pastor. Not only does he openly try to discourage them if they are unprepared and only have a passing fancy, he also tells them to wait and pray, seeking God’s guidance. 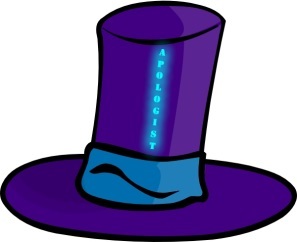 I want to discourage you from becoming an apologist! If you are not prepared and not truly committed, don’t do it. 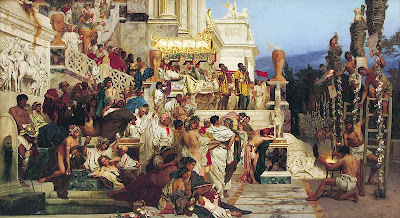 However, I need to add a note here: We are all called to become apologists to some extent, in that all of us are to give a reasoned defense (ἀπολογία) of the gospel. That aspect should be a normal part of the Christian life. 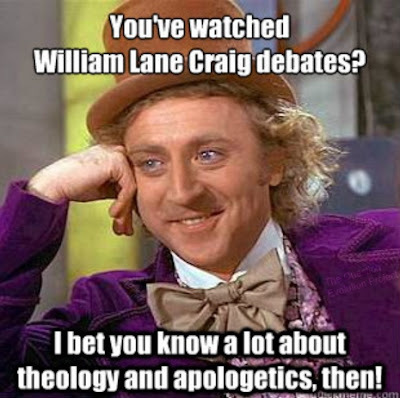 To give apologetics top priority and to be able to say, “I am an apologist” requires quite a bit more. I have some questions for you. Apologetics is a serious undertaking. You cannot simply decide to do it like you would choose a hat. Spend time in prayer and in the Word of God. Get counsel from knowledgeable believers. Pray more, asking God if he wants you to become an apologist (beyond the level all believers are called into), or, if it’s not his leading, to let the excitement and desire fade. Do you know your theology? Sub-question: Are you committed to the Bible as the Word of God? This is not just a game, and not just presenting evidence. You will be given questions that are theological in nature. I will be blunt: In my experience, there are some apologists who are dreadful at theology. Some are fraught with error, and compromise on Scripture. Others get trapped by questions that they cannot answer, but should have been able to handle — and many try to bluff their way through. Still others have aberrant theology that becomes a stumbling block for others. Do you believe your Bible? First and foremost, if the Bible is not your ultimate authority, your motives are suspect at best. Many people are quick to cite part of 1 Peter 3.15, “Always be prepared to give an account to everyone who asks you to explain the hope that you have”, and they may even know that “account” is “apologia” (ἀπολογία), a reasoned, logical argument. They like to quote Psalm 14.1 and maybe Proverbs 1.7. Then they proceed to try to out-evidence and out-argue unbelievers.Such an approach is contrary to Scripture. Ray Comfort has a very strong point that he makes in the "School of Biblical Evangelism" and in other places: We can spend a great deal of time in apologetics and offering evidence, but if we leave out the Word of God, we may get an intellectual "convert" but the soul is still lost. It seems that many profess to believe the Bible, but prefer to do apologetics their way, and not God’s way. The Bible is to be the source of Christian thought in all areas. Remember that the "natural man" cannot understand the deep things of Scripture, and lacks true wisdom (for more detail on this important topic, read "Wisdom and Reason"). Although I believe in a Presuppositional approach to apologetics, I am not opposed to using evidence in the proper framework. There are times when someone will ask a question because it is a stumbling block to their acceptance of Christ. Unless they are obviously playing games, I will give an answer. It is easy to get caught up in our new pursuit and forget the basics. We can have “truth out of balance”, knowing all sorts of philosophies and focusing on apologetics materials and methods. Then we forget other important matters in fellowship, teachings, prayer and the Word of God. Interestingly, the more we grow in Christ, the more we’re aware of our failings and the things in our lives that need work. How are your reasoning skills and tolerance? Take a course in basic logic, or at least read up on it online. When you gain some skill in logic, and learn about logical fallacies, you can spot when you’re being played. It is useful to learn the names of the different kinds of fallacies, but not essential. I must to tell you right now, do not fall for distractions and let others control the conversation! Keep people on topic. I have posted, say, an article showing the errors involved in radiometric dating, and someone wants to “prove” that the Bible is unreliable and God is evil. Someone like that simply wanted to air his opinion and be contentious, and I did not waste my time. I need to add that people will comment on articles based on the title alone, or the first few words. They do not read it, and some of their comments have hilarious results when they talk about something that is not in the post. Similarly, my articles have been “disproved” in their circles because they only read my introduction, but did not read the scientific article that was linked. There are times you will be asked “an honest question”, and then the atheopath will go back to his lair and laugh it up with his buddies on how he played you. You may not be able to learn from the experience, but you can see how they congratulate each other in their feculent sin and lack of reasoning skills. Are you susceptible to sensationalism? There are people who destroy their own credibility with side issues and sensationalistic material. One fellow has a Weblog that is supposed to be about apologetics and refuting atheism, and he turned it into a campaign platform for his favorite political candidate. Others set up a site or a Page on their favorite social media site and start ranting about highly controversial conspiracy theories and bad theology. Stay focused. If you believe that George W. Bush was responsible for the terrorist attacks on September 11 despite evidence to the contrary, or that the Illuminati are controlling the world’s governments, keep it to yourself! As well as being horribly distracting from your main goal, such things can ruin your credibility in a hurry, among both unbelievers and believers. Are you susceptible to theological distractions? In a similar vein to the above point, people will get into disputes about eschatology, Calvinism vs Arminianism (it seems that John 13.35 and related verses have been removed from their Bibles), King James Onlyism (from my observations, King James Onlyists seldom make good apologists because they reason from emotion and commit similar reasoning failures that atheists commit), believing that Easter and Christmas are pagan holidays, emphasize speaking in tongues, and more. If you believe your Bible and growing in the grace and knowledge of Jesus, you should know enough to leave these sorts of things out of apologetics discussions. Indeed, some of them can be settled with research and a willingness to learn. Again, good theology applies. When I told people about stalkers and harassment that I received, I don’t think they fully appreciated it until they experienced it for themselves, and saw the screen shots of how amazingly vicious some atheists, cultists, liberal “Christians”, theistic evolutionists and others can be. Libel, defamation, bafflingly juvenile attacks are all part of the job. Many are consumed with hate, and cannot reason at all. There was a time that I visited a Weblog, and someone was complaining that another commenter was me in disguise. Of course, he was missing that little thing called “proof” (or even “evidence”) because to some people, an accusation is proof enough. But I had not visited that particular Weblog in months. Other fantastic stories have been made up about me, but we don’t have time for that. The attacks have a both an emotional and spiritual basis. Emotional, because atheism is irrational and they get angry when they are refuted (worse, when evolution is refuted, which is a cornerstone of the religion of atheism). Spiritual, because these people are lost. They are useful idiots under the control of their father, Satan and are blinded to the truth. Although they deny it, these people seem to actually relish their situation. There are atheists who pretend to be Christians and try to emotionally manipulate you. When you see this happening, you’ll be able to trace it to what they are really appealing to: Your pride. I have received mail and comments from people who want to shame me away from creation science, calling me a disgrace to Jesus, claiming that I’m “a sad little man” (Did the Holy Spirit lead him to say that to me? ), saying that I should follow the examples of the compromisers they’ve named and so on. If I was to let my pride rule, I would want to “fit in” and be accepted. We should be seeking the approval of God, not the fleeting admiration of man. Of course, some people are looking for any excuse to “push your buttons”. Even if they cannot, some will say that you are a false Christian and a hypocrite. This usually happens when their bad logic has been exposed. I have seen the “reasoning” go like this: “You are not a good enough Christian in my eyes. Christianity is false, the Bible is not true. There is no God!” Move on. At any rate, I have yet to discover what they hope to gain by demonizing, defaming, misrepresenting and libeling Christians (especially creationists). Click for larger image. From the BCSE anti-creationist, mostly atheist, forum. Some of us do not blame other people for our decisions or try to place blame on others. Pure hate, and many logical fallacies in this libelous attack. Are you ready to deal with such things? Some obstreperous types want to prove I’m a bad man. But I’ve already admitted it in public! Yes, I’ve sinned. Recently. And repented. And repenting again when necessary. Yes, it is easy to get excited in an ongoing dispute with an obstreperous troll. There are some who have appointed themselves guardians of “reason”, and scour the Internet looking for people to belittle. I have been very brusque with some people with whom I have had past experiences. It would look like I was being unduly harsh to someone who was unfamiliar with our history. Other times, there have been people claiming to be Christians who were using ridicule and frequent profanity toward atheists. I even read some obscene jokes made by the Christians toward the atheists; it was difficult to tell who was the Christian and who was the atheist! Do you show love and support to other Christians? Some ministries will bend over backwards to deal with unbelievers. But when a Christian wants some help or information, he is ignored or brushed off. How do you deal with weak Christians? There are people who do not know much about the Bible, but are more than willing to express their opinions on how you are not showing the “love of Jesus”, that you’re being “judgmental” and so on when you stand up for the truth. I’ve seen where will imply that we need to coddle unbelievers. If the unbeliever claims to be offended, somehow it is your fault that they rejected Christ. When you show them verses that say we should stand up for the truth, and how Jesus, Peter, Paul and others actually spoke firmly at times, they’re still right in their own minds. Some Christians are actually competitive in their ministry efforts, forgetting what we are working to accomplish and for whom we are doing it. Are you upset when you fail? It happens. We all fail. Someone may manipulate and trick you, or you will not have the answers. Keep working, because nobody will ever be perfect at apologetics. We are not perfect, period. Me, I’m a “piece of work” in progress. Do you keep your word? Changing your mind or not following through should be a rare occasion, and not simply the result of laziness, carelessness or lack of concern for the other person. Don’t make promises that you can’t or won’t keep. If you do not want to deal with someone or answer an e-mail, be direct about it. If you have other commitments, honor them; never make commitments or say “yes” just to shut someone up. Our job is to present the gospel, not to "win arguments". Not only do we give evidence, but we go beyond the intellect into the spiritual realm. God gave us the Sword of the Spirit, the Word of God. Use it. The Holy Spirit does the convicting and saving, not us; we do not save anybody. This is a vitally important point. Some atheists were angry and jealous that I was getting attention for “The Question Evolution Project” and “Question EvolutionDay”. They would not believe me if I told them this, but I told others that the glory goes to God, not to Bob. The goal is to pull down strongholds, throwing down imaginations and every high thing that is exalted against the knowledge of God, and bringing every thought into captivity to the obedience of Christ (2 Cor. 10.3-5). Are you wanting to be the next Famous Christian Debater™? Then you may very well have a problem with pride. That’s right, I said it! This is an awesome responsibility. It is not an intellectual parlor game. If you are building up your ego, souls may be eternally lost and you’ll have to give an account before almighty God. I hope you will think and pray about what I have said. There’s a lot to learn in lion taming school. Oh, don’t forget your hat!